Serving W116 Enthusiats for over a decade! 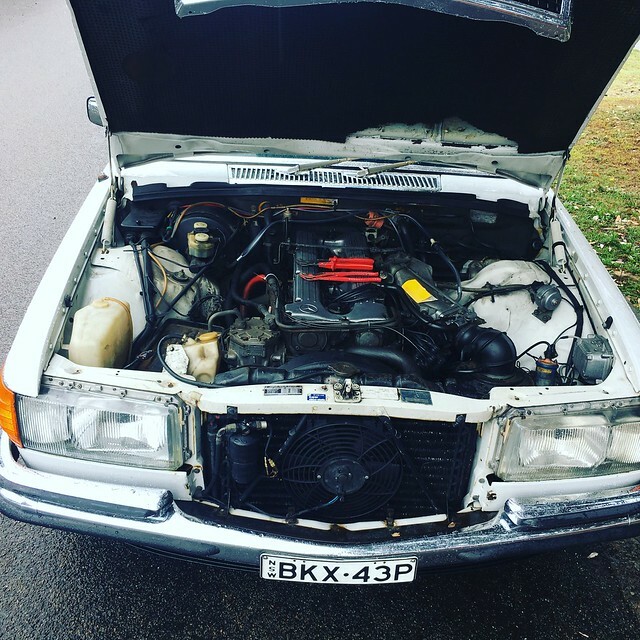 Hi everyone, I just found your forum as I’ve just bought a ‘74 280SE yesterday. I’ve got a few of what looks like usual problems ie, blowing hot air, slight vibration at speed, other than that it’s in great condition just a few surface rust spots. Hell the original radio/tape still works great. I’ll post up some pics soon as, just enjoying driving it around sunny Sydney Australia. Anything’s first I should get stuck into that you all recommend?? Welcome Neil. 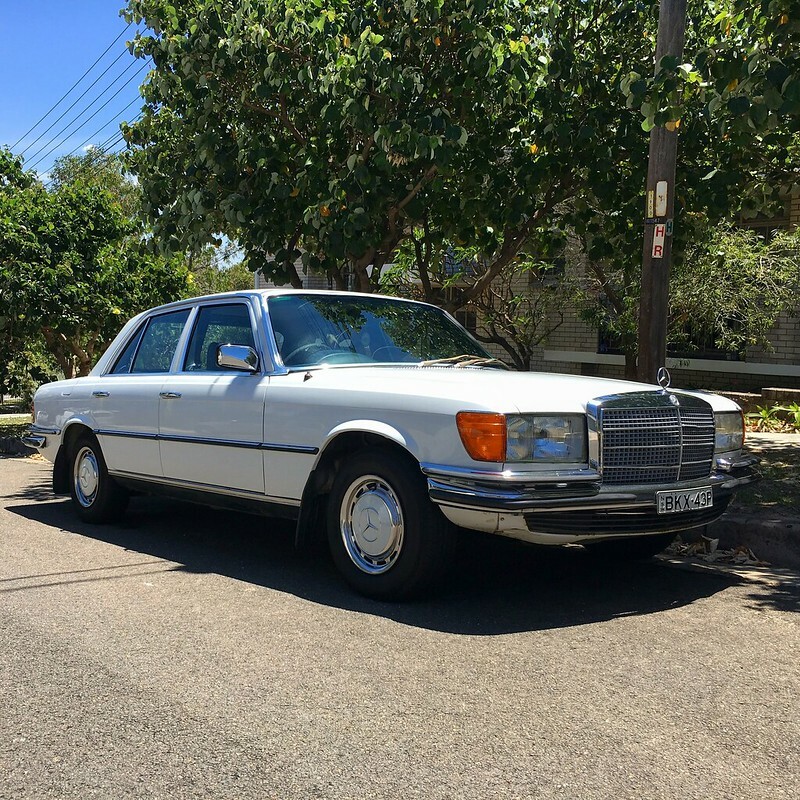 I think I am the only other member in Sydney, but have sold my w116 and defected to a w140. I know a good mechanic in Eastern Sydney if that is of any help. I also know most of what needs attention in these cars, at least at an amateur level. PM me if you'd like to make contact. Welcome to the forum, I'm sure you will find this group very helpful with all things 116. Your 1974 280SE was a very well built vehicle and with regular maintenance will give many more years of service. I always advocate to start with a full fluid change regimen. 20W-50 Castrol GTX for oil and Zerex G-05 coolant. Brake fluid flush as well and give the brakes a good once over while you're at it. Safety check on tires too. Also make sure your fuel is clean. Change all filters as well and lube hinges and linkages. Thanks everyone, I’ve started making a list of “to do’s” the car came with no history or manual So I really need to get on with the fluid flushes like mentioned above also a timing belt for piece of mind even though it “looks” to be good. As the car came with no books and I can’t find any of the hidden data cards, is it possible to order new from Mercedes-Benz if I give my vin? Neil, yes. You can contact Mercedes Classic and they'll send you a copy of the data card. You'll have to submit proof of ownership to them, though. You engine doesn't have a timing belt. It has a timing chain. Even so, definitely have it and the chain tensioner renewed since you have no records on the car. For some reason people never think to service the timing chains. It, too, is a wear item, and must be looked after. Rule of thumb is to renew every 100,000 miles. It's cheap insurance against having to replace/rebuild your engine. The V-8 engines are much worse regarding timing chain stretch/breakage, but the 6 cylinders are just as prone, and I have seen plenty of them com apart. Make sure that whatever 20W-50 oil you buy has the correct amount of ZDDP in it (zinc). Or at the very least buy ZDDP additive to put into the oil. What’s the ZDDPand why do we need it?? ZDDP is a anti-wear additive used in oils. Back in the day when the W116 was new it was the go-to AW additive, ranging in content anywhere from 1500ppm to well above 2500ppm, if anything on the web is worth trusting. As years progressed and the valve train moved from flat tappet to roller cams, which see less shear stresses, ZDDP content was continuously lowered and replaced with other additives. Modern oils typically would have approx. 600ppm to 800ppm of ZDDP. High-mileage or diesel oils often will have at least twice that. And that's another religious debate people will go mental about... Some will swear you will kill your engine with modern oils, others say it makes no difference, as newer additives are just as good. The truth is probably somewhere in between. There's a lot of urban myths surrounding the subject, and the same misinformation repeated on site after site. that's ezy on the eye! Yours is an early one and running Bosch D jetronic Fuel Inject.................find someone quickly who knows plenty about this system before you need him.! Only a Benz will do! And welcome to the asylum! Yours is an early series D Jet 72 -74. The give away is the aerial on the front fender. I'm driving the later 1975 D Jet version which was where they transferred the aerial to the back and a few minor cosmetics. Outwardly it looks in very good condition, and I'm guessing that may be the original number plate (possibly), which can be another give away as to a cars true condition (sometimes not always). Feel free to pm me if you need anything specifically D jet related as I've pretty much rejuvenated mine over the last few years. D jet has lots of rubber connection pipes hidden away out of site (for fuel amongst other things) which the later K Jet does not. I found out the hard way!! I did a full system rubber fuel line replacement. Read back on some of my posts. There are plenty of pictures to show you what to look for. You will find this forum the best "friend" you can have when it comes to the 116.
mrkozzy thanks for the info, I'm planning on replacing all the rubber lines in the near future so your pics will come in handy. hey everyone, sorry I haven't been keeping this up to date, I've just been ticking off little jobs and took a few snaps as I go. 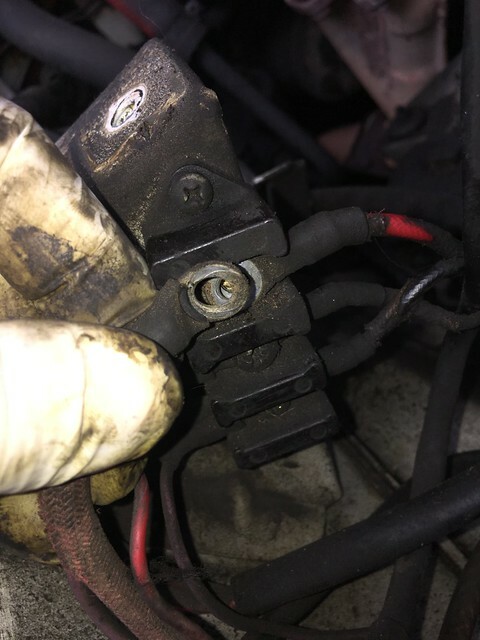 thankfully the car is running like a dream lately, I had begun to have a good look around and make a list of little problems. 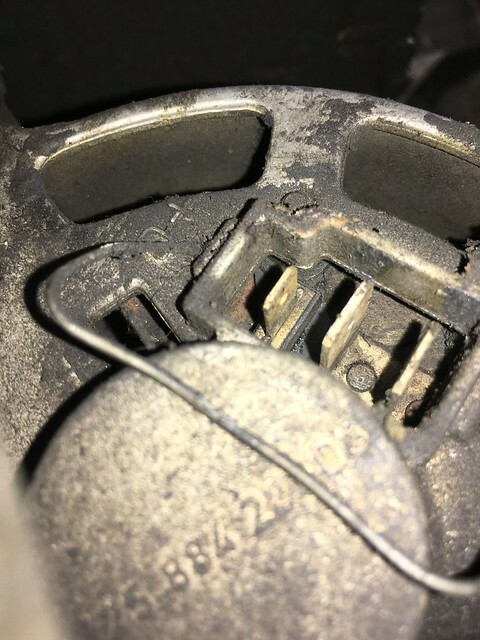 first up was the whole ignition, the motor just didn't run "right" it had a shake and a misfire from cylinder #3 it had plugs that were wayyy out, the dizzy rotor was corroded and the dizzy cap was damaged, also the leads felt rubbish. 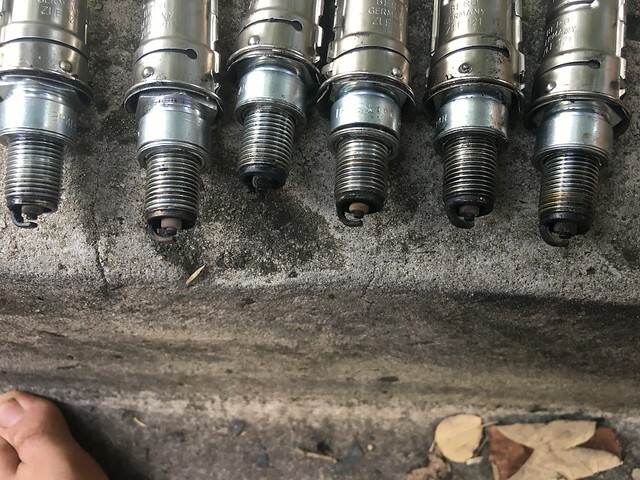 sorry ive no pics f the new parts just the plugs that I replaced. you can see just how bad #3, 5, 6 were. once everything was replaced sadly the motor ran like a "bag of nails" was pinging and had a crazy idle, running wayyy off and blowing black smoke. the previous owner/mechanic must of timed the motor to suit the rubbish parts. quick turn of the dizzy body and its now running a dream. 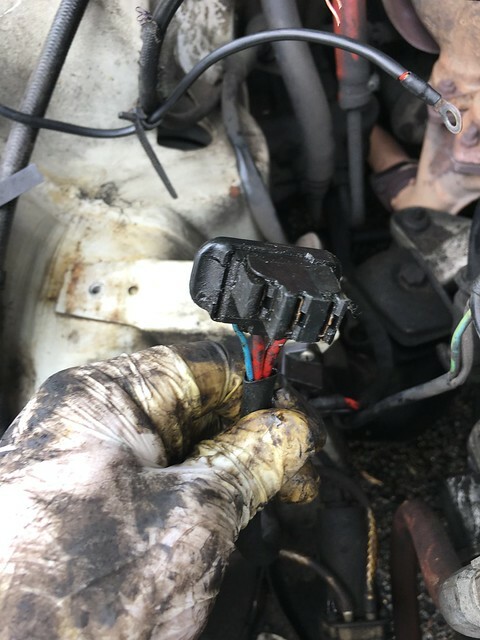 the next thing the car just simply wouldn't start one day, I checked the battery and it was low on volts, as mentioned by others on the forum I pulled the voltage regulator, and what do you know, it was that. you can see in the pic compared to the new one just how worn it was. wile I was at it I cleaned up all the connections regarding the battery/starter/alternator and earths, 40+ years of oil and dirt certainly had their effect. once all was cleaned everything is now shinny and new looking.